Wales is a land of ghosts and dark legends, strange animals and unexplained phenomena. From the Abergele Ghost Ship to the Witch Lakes of the Brecon Beacons, Alvin Nicholas takes the reader on a comprehensive A–Z tour. Supernatural Wales is the definitive guide to Welsh ghosts, hauntings, monsters and mysteries. Here you will find haunted castles and manor houses, mountain spectres and ghost ships. Learn how to track mystery panthers, try your hand at ghost hunting and explore a land of lake monsters, sea serpents, vampires and werewolves. With well over 100 entries, Supernatural Wales covers everything from spooky secret passages to phantom armies and mystery light phenomena. Thoroughly researched, this book includes new information and first-hand research that will lead you to the heart of mysterious Wales. The book includes never-before-published OS grid references so you can walk where ghosts walk and stand, if you dare, where disembodied voices are heard and where grim goblins, spectral horsemen and dogs of darkness appear. Sure to delight both armchair enthusiasts and serious researchers alike, Supernatural Wales is packed with fascinating stories and intriguing information that will compel readers to refer to this book again and again. 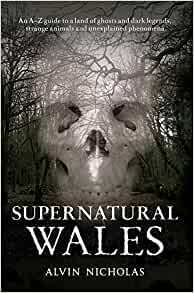 Start reading Supernatural Wales on your Kindle in under a minute. Alvin Nicholas is a qualified Mountain Leader with a passion for the British countryside, archaeology, folklore and writing. He obtained an MSc in Protected Landscape Management from the University of Wales, Aberystwyth, and went on to work for English Heritage in London. 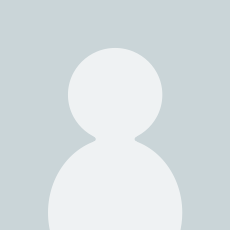 He currently works in the fields of heritage and nature conservation and is a Visiting Lecturer in heritage studies at the University of South Wales. a great guide for any paranormal investigator or tourist venture into the world of welsh venues known for supernatural phenomena. Having an interest in the Sopernatural and living in Wales, this book caught my eye. I bought it as it had been rated five stars. I have bought one or two other books on the same subject matter, which were disappoointing, and so was this, much for the same reasons. Firstly it came across as quite 'bitty' - it was superflous with soundbites, and had no depth or originality. Bascically, there was not much material and it was extremely irritating the way everything was glossified e.g. I felt this was pointless and unnecessary, and just an excuse to fill in space. I am just glad it was 2nd hand becuase it certainly is not worth full retail price of £14.99. Got given a copy by the author as we share an interest in the supernatural. I have read it twice as has my wife and father in law. This book is different to many of the others I have read on the subject as it not only provides links to other books but provides the grid references to assist in locating various landmarks. As I am planning to make a trip to the UK I thought this would be an interesting read and it was. If you are into the Paranormal this book is something you might want to have on your book shelf.